It’s important to note, there are really two FVI’s. Edward Montoro’s FVI which began in 1968. The original FVI produced lowbudget ripoffs, usually of the horror nature, or import lowbudget ripoffs, again, usually of the horror nature. The company became somewhat (in)famous for it’s movies and their sometimes box office magic. In 1980 they released a Jaws ripoff called Great White and advertised the hell out it. However, Universal sued and the movie had to be pulled in only a few weeks, making it a colossal failure. By 1984 everything was going down the drain as FVI was losing money fast and Montoro had just settled his divorced which entitled half of FVI to his wife. So Montoro quickly took a million from the company and left the country. FVI was left in the hands of four executives, who couldn’t keep the thing alive after Mutant (Montoro’s last film) bombed with others. In 1985, FVI released their final film Torchlight. Film Ventures went into Chapter 11 bankruptcy sometime this year. Also in 1985, The FVI produced film City Limits was released by The Atlantic Releasing Corporation (which also released Teen Wolf the same year). The production company name was changed from Film Ventures International to The City Limit Venture, likely to distance itself from the collapsed FVI. Some time later, all of the remaining assets of FVI (but not all movies, for example Beyond the Green Door II is distributed by the Peter Rodgers Organization) were bought by what was then a small TV syndicator called INI Entertainment Group Inc. They thought there was a value in the FVI name. INI reactivated the FVI name in 1987. They used about the only value the FVI library had- a sequel to a movie popular over a decade previous, and a previously unreleased title. Alien Predator has been produced in 1984, but hadn’t seen a release, so they did it this year in February. They also produced a sequel to one of the most successful Montoro run FVI films Grizzly named Predator: The Concert. For the previous years, besides the mentioned releases, looking at the copyright files, it looks like INI was pressing out legal matters concerning the FVI name. In 1989, they produced and released Criminal Act and released a subtitled Israeli war film with no English title according to IMDb. This is the year though that they started giving movies the “FVI treatment” (legally new music, editing, and compilation of preexisting footage in the opening and closing credits). One of these was Gamera Strikes Back. (Aka Gamera vs. Barugon) The registration date is October 18, and the publication date is November 5. It looks like a direct to VHS release, like what most of the rest look like they were intended. 1990 was FVI’s last presence as a theater distributor. They released Any Man’s Death in May to theaters, with FVI as the domestic distributor, and INI was the worldwide distributor. Too bad MST3K never got it’s hand on this, its looks like a real stinker. Also that year, Cave Dwellers is copyrighted by FVI. According to the credits in the version that aired on MST it was in ““video, music, editing, special effects, packaging, and design”, while the library of congress copyright states “new music, editing, and compilation of preexisting footage in the opening and closing credits.” This was originally a New Line Cinema release domestically as Ator, the Bladmaster. According to IMDb it was released into theaters this year under the FVI name, but I have no other evidence suggesting such a thing. By the next year it would be licensed to Comedy Central and BBI for airing on MST3K, which (if the theater thing is true) would technically make it the fastest move from the theater to the show, in under a years time. The copyright on the website is in early December, so the theater thing is unlikely (as it was released in 1990 according to IMDb). The episode debuted July 1, 1991. I’m guessing FVI had full rights to this one, and bought the film outright. I haven’t seen a VHS release under the CD title, but the copyright is for videocassette, so I assume that’s what it was intended purpose. Another interesting note, is the Elvis film Charro! is copyright for “FVI” treatment. With it publication and registration happening in December of that year. This again is for a videocassette. They also copyrighted a version of Gunslinger with the “FVI treatment” for a videocassette. This is unlikely to be the version that showed up on MST. Also in this year, Godzilla vs. The Sea Monster is copyrighted in “video, music, editing, special effects, packaging, and design” by FVI. In early 1991 it was licensed to Comedy Central and Best Brains for riffing. This is why I believe, that these effects may have been designed specifically for MST3K. In episode 213, the SOL crew doesn’t enter the theater until after the credits are over. I have a feeling because the credits weren’t done by the time of production for this episode, but they wanted to get it in the can so they could take time off before the next season. They aired the episode in February 1991. The movie was released onto VHS sometimes that year according to IMDb, and I thought I saw it somewhere else but can’t find the site. The only copyright for Godzilla vs. The Sea Monster in 1991 is for a copyright mortgage with Broadway Video and Imperial Bank in July. Also, Stranded in Space is copyrighted in December 1990 for the “FVI treatment” and for a videocassette according to the LOC. Two former FVI movies are reedited and recopyrighed by the company. City Limits is copyrighted by FVI for the “FVI treatment.” This film was originally a FVI production, (though in the credits listed as City Limit Ventures, see above) which is likely why it’s the only film (besides Sea Monster) to not have a name change. It’s for a videocassette. The Unearthling, was recopyrighted by the new FVI in December of 1990 as Pod People with new opening/closing titles. It’s copyright is in the standard FVI “video, music, editing, special effects, packaging, and design” or “FVI treatment” according to the official copyright. It was licensed to Comedy Central and BBI in 1991 and aired only two weeks after Cave Dwellers. At some point, someone released it on VHS as Pod People according to Amazon.com. I’m guessing it was in 1991 by FVI/INI, since the copyright is for a videocassette. This is again, another movie that was originally produced and distributed by Film Ventures in 1983. Though in 1985, Astral Video distributed it to Canada. This is why I’m beginning to think this is what the case is on some FVI titles. INI acquired the ownership of some films (like Pod People), but someone else already held the distribution rights for TV or home entertainment. Therefore, they’d take the film they legally own, and edit it into their own movie for distribution. It’s a wild theory, but it’s about the only think that makes sense for some of them. In the fall of 1991, Master Ninja I was copyrighted by Film Ventures International. It wasn’t specific on what it held copyrights over. Master Ninja II is also copyrighted by FVI, but no year is given on the credits, and is no more specific. These are edited together episodes of ‘the Master,” and there were seven released (with the first episode appearing on 2 VHS). Both “movies” at the end have a copyright by Viacom Corporation Inc. for 1984. So I doubt that these Master Ninja movies could be in the public domain, because Viacom should hold the copyright for 95 years from 1984 or FVI for 95 years from 1991. FVI it registered in 1991 at the LOC. Later that year, the first two was licenced to BBI and Comedy Central for use on MST3K. Sometime this year all seven VHS episode compilations were released on VHS by FVI. However, only the first two have a copyright listed on the LOC website. Also in 1991, Space Travelers is copyrighted by “FVI.” Like Master Ninja I, it isn’t very specific. Being from Another Planet is also copyrighted by FVI this year. It was released the year before by Charter Entertainment on VHS on September 26, though IMDb gives the date of 1986. Again, not very specific copyright. Neither of these are registered at the LOC. 1992 was interesting, in that it was the last year FVI licenced anything new to BBI and CC for riffing. In this case it was Marooned, City Limits, and Being from Another Planet. 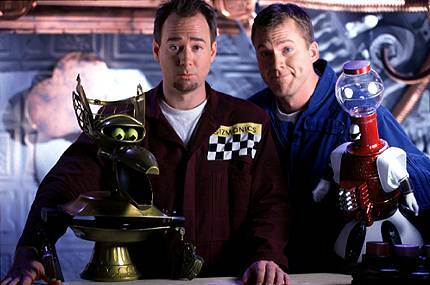 Another reason to think FVI may have produced some of these specifically for MST3K is because Marooned was something they mentioned all the way back at the beginning of season two, and Marooned opened season four. Even back then Dr. Forrester said “We couldn’t get it!” Later that year, FVI’s Charro! was announced as episode 421, but then replaced by Monster a-Go Go. Since 1990 an INI Entertainment Group had been producing animated kids movies for VHS starting with Alice Through the Looking Glass. This checks on the LOC and another website. They continued pretty steady with movies in conjunction with the Burbank Animation Studio. Most of them were released by Video Treasures. Such titles include Treasure Island, Ali-Baba and Brer Bunny. They also produced a series called Cliff Hanger. In 1995, Master Ninja III was announced as the finale of season six, but it was replaced by Samson vs. The Vampire Women. Probably because Frank always wanted to do a Mexican wrestling move. Also in this year, FVI licences Godzilla vs. The Sea Monster, Cave Dwellers, Pod People, Stranded in Space, Master Ninja I, Master Ninja II, and Space Travelers to Tradewinds Television and BBI for a syndication version of MST3K. The syndicated version goes off the air the next year. Also this year, the animated children’s VHS Thumbelina and Hans and the Silver Skates are released by Video Treasures, and are credited “by INI.” INI was given direct production credits for Goldilocks and the Three Bears, Pied Piper of Hamlin, and Puss in Boots (rereleased in 1997 by Reader’s Digest Young Families Inc.). All of these were released in 1995 by Video Treasures. Video Treasures the next year would evolved into Anchor Bay Entertainment. Anchor Bay Entertainment released a lot of the former FVI catalog. Interestingly, Video Treasures also put out a release of Godzilla vs. The Sea Monster and Godzilla vs. Megalon. Many of these animated titles seem to come from a production company called Burbank Animation Studios which is based in Australia. In 1996, Marooned is released on VHS by Sony on January 3. Space Travallers though would air on Comedy Central into December of the year. Cave Dwellers and Pod People are licenced to Rhino Home Video this year for release on VHS. Rhino announces they are also going to release Stranded in Space and Master Ninja I (along with about 18 others) the next year. They never release them, and claims rights issues held many episodes up. But looking at the list, there are a few public domain episodes that still haven’t even gotten a release. The after that year Jet Films releases City Limits on February 24 on VHS, I think it’s a German or French company that did it illegally. In 2001, The Return to Treasure Island is released, and INI is listed as a firm. Cave Dwellers and Pod People are released as MST3K episodes on DVD the next year. Also Lion’s Gate (accordingto travis) apparently releases City Limits the same year, though I’ve seen a credit for Artisan Entertainment.. In 2004 according to Amazon, Pod People is released by Jet Films under it’s original title, likely one again illegally. That’s all I could find, along with some contradictory stuff. I was looking at RATMM, and I found this interesting post about why FVI did what they did. rights for much less money IF THEY'RE ONLY USING A "CLIP" FROM THE MOVIE. movie itself, is a "clip" from the movie. Get it? If I made a film, and wanted to include, say, a scene from "The Wizard of Oz"
that portion of the clip. between their film - their "original film" consisting of JUST THE CREDITS. Another Planet", and so forth. credit. It could be, in fact, FVI actually PRODUCED the durned thing. travis, do you know about the legalities about that? What manner of bot are you who can summon flame without flint or tinder? Wow...This is getting complicated... But I thought the Ator movie was called something else before the name change..
Joel:"..and the feckless ubermusters are flexing their zeitgeists again.."
Joel:"The scientists, barkin down my snorkel!" Cave Dwellers was originally called Ator, The Blade Master. I don't know if what he says is fact, it's just a theory, but makes sense. I know Wikipedia said Godzilla vs. The Sea Monster was obtained illegally by FVI. A website does say that Film Ventures International distributed a VHS of it back in 1991. Maybe they mean television rights, but that doesn't seem right because 213 aired as late as April 1996 on Comedy Central, and the rights were never announced as expiring. I hate to say it, but I'm going in circles and getting nowhere fast! Updated the top with new information. Yeah, there's something fascinating about Film Ventures and other (apparently) fly-by-night, old VHS distributers where their catalogues are all over the place, genre-wise. I'm curious if there are other funny credit sequences from FVI movies MST didn't use. Most of the information I've read about FVI concerns the "Great White" incident. 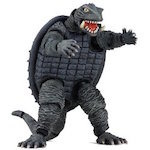 I've looked all over for information concerning FVI's versions of Godzilla vs. the Sea Monster and Marooned, but haven't ever really come up with squat. Atomic Mystery Monster is the guy you need to talk to. (I think he posts here.) He and I had a legnthy talk about FVI on the Yahoo Pop Music Pop Culture list a while ago. I'm sorry, I don't know who that gentlemen is, but if it would be alright with him, I'd love to contact anyone with more clues to FVI/INI. Right now, I'm rewriting the top stuff. Updated it a little bit. travis didn't you say Anchor Bay released a lot of old FVI titles. Any inaccuracies (or should i ask how many)? Wow alot of great info! I really want Rhino to release all the FVI since they're my favorite movies MST did. Looks like you've managed to dig up an incredible amount of info. I started an article about FVI on the MST3K Wiki a while back, and just updated it with some of the stuff I learned from your post. Just one thing, I think the reason FVI might not have gotten them Master NInja III is they never had the rights. Master Ninja III has no copyright on the LOC website. Neither is for sure though. Also as far as we know, they didn't think all the movies thought fell into public domain. I'd like to elaborate on that more but I'm too lazy and I don't like the way the MST Wikia is run anyway. WELL HELL YES IT'S BOLD!!! FVI/INI has always seemed really shady to me. By the looks of their later "output," they'd take movies they thought the copyright had expired (which doesn't make any sense, as most of their titles were relatively new)... change the beginning & end credits and title... and voila! They claimed to own a totally different movie. This is bogus, because if copyright laws allowed such silly stunts... anyone of us could take a movie, change it a little bit, and then re-copyright and claim ownership. Of course, if you make changes to a movie/do a new transfer... you can probably copyright it as a derivative work or whatnot. Hell, that's what BBI was doing with MST3k in the first place. So if you notice in FVI's copyrights, they only claim to own the added material. There were a few titles in question they actually had the rights to (City Limits, Ator the Invincible and Extra-Terrestrial Visitors/The Unearthling), and two of those are subsequently the only FVI titles we’ve seen released by Rhino so far. But, if they owned these movies legit, why bother changing them for TV distribution? I don’t know what film FVI culled the CAVE DWELLERS opening footage from, but I know they took a scene from THE GALAXY INVADER (now owned by Wade Williams) for the opening scene of POD PEOPLE. Media Blasters licensed several (original) FVI titles to DVD, including THE GRIM REAPER, DAY OF THE ANIMALS and GRIZZLY. Not sure who they got them from though and if it has anything to do with the shady later FVI/INI. Wikipedia says “Today, many of the films produced and released through Film Ventures International are now distributed through small-scale video and DVD companies including Anchor Bay Entertainment.” I haven’t seen any evidence to back this up. Artisan is part of Lions Gate, and they might own it if FVI/Artists Releasing Corporation licensed it to Vestron video outright in the ‘80s. Jet/Jef Films is a unlegit operation (I have their DVD of STARCRASH, ported from the French DVD). So when was FVI changed to INI? Yeah, I found another such copyright for SWAMP THING and a few other movies. These guys were shady for sure. Also in this year, Godzilla vs. The Sea Monster is copyrighted in “video, music, editing, special effects, packaging, and design” by FVI. In early 1991 it was licensed to Comedy Central and Best Brains for riffing. This is why I believe, that these effects may have been designed specifically for MST3K. In episode 213, the SOL crew doesn’t enter the theater until after the credits are over. I have a feeling because the credits weren’t done by the time of production for this episode, but they wanted to get it in the can so they could take time off before the next season. They aired the episode in February 1991. The movie was released onto VHS sometimes that year according to IMDb, and I thought I saw it somewhere else but can’t find the site. While an interesting theory, I don't think that's likely... how would they know how long to run the camera for? The "coming in to the theater late" gag doesn't make much sense to me... FVI uses footage from SON OF GODZILLA for the intro. I'm surprised they got away with it, since the home video rights for both movies were with Video Treasures (Goodtimes put out a VHS too, I'm not sure how legit it was... likely many VHS releases back in the day). Anchor Bay bought VT and released a bunch of Godzilla movies to VHS (some from the New World Catalog, some from VT, and some from Golden Books Entertainment) right before the rights expired... some being picked up by Sony, one staying behind with Anchor Bay, and two being picked up by Classic Media when they bought Golden Books. Ahh, so The Master is owned by Paramount. I figured as such. This is probably the real reason why Rhino hasn't put them out. This has to be one of the best threads I've seen here. Thanks for all of your hard work, this is truly interesting stuff! Click my link, you know you wanna!